The project, which comprises two towers with three podium levels - requiring over 35,000 m2 of post-tensioned slabs - was completed on time and within budget for the client Damac Properties Co. The first tower rises 27 storeys high and contains luxury apartments. 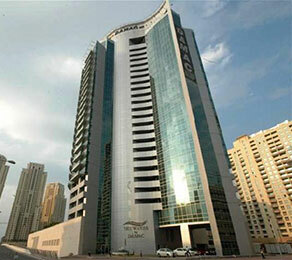 The second tower is a 10-storey mid-rise building with a total of 230 apartments. CCL was asked by the contractor Al Mereikhi General Contracting and consultant engineers Norr Group Consultants International Ltd to carry out the design and execution, using the post-tensioned method of construction. The CCL design allowed maximum special flexibility by creating long spans. The thin slabs, which result from post-tensioning, ensured that the client was able to maximise the profitable space within the planning envelope. The post-tensioned slab design also provided significant cost savings by reducing the amount of concrete and steel reinforcement required, and by accelerating the construction cycle. The CCL site team ensured that the proposed solution, which was provided at the design stage, was delivered efficiently and that all requirements - in terms of the construction schedule, installation and quality of workmanship - were met.